Editor(s): Rowiński P., Napiórkowski J. 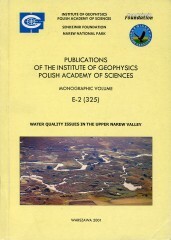 This book contains contributions by the leading experts dealing with general aspects of water quality in rivers and also specialists focusing their efforts in the Upper Narew Valley. A variety of scientifically based - experimental, computational and theoretical, and also policy-oriented topics are contained herein. A large number of the contributions have been presented during the meeting held in Hotel Leśny in Białystok on July 11, 2000. The main topic embraced sources of pollution and transport processes influencing water quality in the Upper Narew Valley. The Conference was organized by the Institute of Geophysics of the Polish Academy of Sciences in cooperation with the Narew National Park and North Podlasie Society of Bird Protection. 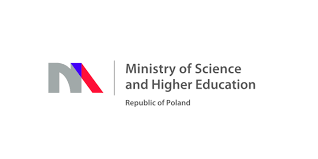 It was sponsored by the Sendzimir Foundation and the Institute of Geophysics of the Polish Academy of Sciences. Author(s): Rowiński P., Napiórkowski J. The objective of the Conference was to provide a forum for sharing and transferring information, expertise, experience and ideas among professionals in the field of ecological problems in the Upper Narew Valley. What risks are allowable in the science and management of ecosystems? High risk can both devastate ecosystem integrity as well as greatly amplify learning. Profound failures in ecosystem management have spurred great advances in scientific research and theory that have revolutionized our understanding of the structure and organization of ecosystems. The key insight is that surprise and uncertainty are inevitable given our limited capacities to experiment with replication and control on large-scale systems over long time scales. In this context, the single-hypothesis testing framework of Karl Popper is inadequate to address ecosystem complexity. Thus, ecosystems are inherently unknowable to the extent that we can be certain of our actions. I discuss the qualitatively different kinds of uncertainty researchers and managers face and describe how the different elements of ecosystem complexity contribute to uncertainty. This paper addresses the question - how do we effectively engage that uncertainty in ways that promote the evolution of science as well as the conservation of ecosystems. The practical integration of science and management begins by expanding the discussion from narrow questions of application protocols to the full range of disciplines that influence how we study and manage the world. This paper describes some of the basic world-views or paradigms that have determined the main approaches to ecosystem research and management. It then discusses how to advance ecosystem science by using the contradictions between paradigms as the basis for multiple (as opposed to single) hypothesis testing. We effectively promote both science and conservation when we integrate management and research decisions within an adaptive multiple hypothesis framework. 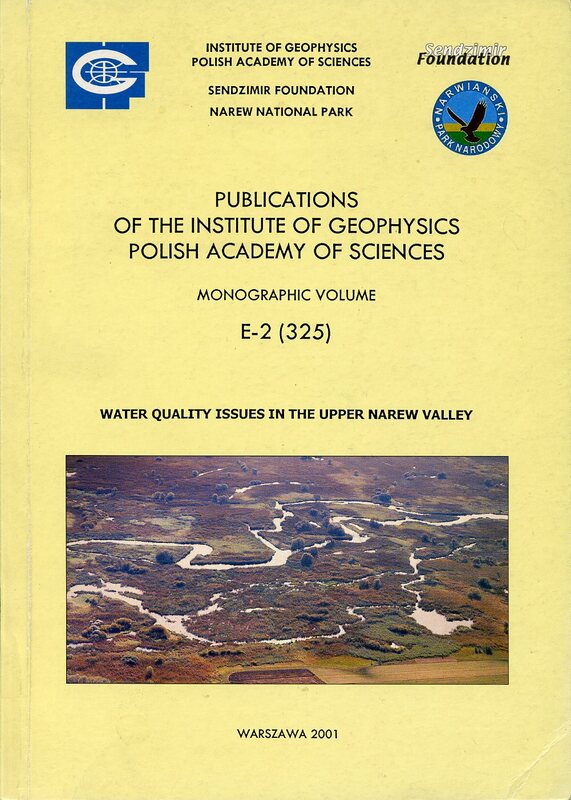 A framework for adaptive inquiry in the Narew river basin is given. This paper presents information related to conducting tracer tests to study hydraulic transport processes in rivers. These processes are important since they determine things like the time required for a pollutant to reach some point in a river and the time required for the pollutant to pass that point. Attention is focussed on one-dimensional transport conditions. Brief descriptions are given of advection, turbulent diffusion, dispersion, and temporary storage, as well as the ways in which these hydraulic processes affect transport. A summary is presented of information needed to plan a tracer test to measure one-dimensional longitudinal transport. Information is also given on environmental safety aspects of using the fluorescent tracer, Rhodamine WT. Both an international agency and agencies in the USA state that this tracer is environmentally safe when used in reasonable quantities. This paper gives a general discussion of these topics rather than being oriented specifically toward the Narew River. The basic equations of water quality are presented. These equations describe the concentration field of conservative and non-conservative pollutants in flowing waters. The three non-conservative pollutants are described, namely, the thermal pollutant, the biochemical oxygen demand and the dissolved oxygen. The process of parameter identification is described in the case of stationary discharge of conservative pollutant into rivers. In this case the stream tube method is described. The method allows to reduce the basic equation to a very simple form and create the very efficient method of evaluation of dispersion coefficient. Also, the case of non-stationary release of any pollutant into a river is analysed in details. This case is often related to an accidental spill of a toxic pollutant from any industrial plant into a river. In the paper, it is shown how the dispersion coefficient is related to the spatial variance of the concentration distribution and how it is related to the time variance of concentration curve, C(x = const, t). Various methods for predicting solute transport in braided rivers are presented. It is assumed that the fate of contaminants in multi-channel river systems is affected by exchange in slowly moving or stagnant flow zones with relatively rapid flow in the main channel. In braided streams there is a range of slowly moving flow zones, with various river arms, bights, and backwaters, which are hydraulically weakly coupled with the main channel. All the proposed formulations of the model are based on the transient storage and also aggregated dead-zone equations. This study is a preliminary step before performing a dye tracer experiment in the meridional part of the Narew Valley and is aimed at a reliable description of the dominant physical processes of solute retention in braided streams. Author(s): Dysarz T., Napiórkowski J. Nature protection in the Upper Narew Valley needs continuation of spring flooding to sustain breeding birdlife and appropriate moisture levels in soils sensitive to overdrying. This can be achieved by appropriate control of the Siemianówka Reservoir. Specific approach is proposed in this paper that leads to simplification of numerical calculations required for solving the above-mentioned optimication problem. It is based on the simplification of cross-sectional geometry of the river in the routing model and the application of global optimization methods. The structure and types of water ecosystems are discussed. Particular attention is paid to morphological characteristics and biocenotic structure of river ecosystems. Contemporary views on the functioning of water ecosystems, namely the concepts of catchment, ecotones, river continuum, and biophile elements spiralling, are described. An outline of movement of matter (including pollution) in rivers in accordance with the river continuum and biophile elements spiraling concepts is presented. Author(s): Banaszuk P., Wysocka-Czubaszek A. The paper presents preliminary results of investigation of the function of such natural geochemical barriers as trees belts, meadows and mires in the protection of surface waters against pollution with N, P and K, which migrate with the groundwater from cultivated fields. Measurement, made during one year (May of 1999 - June of 2000), of concentration of main fertilizer components in the groundwater along the transect, starting at the arable land and reaching the river, has shown that a trees belt, a meadow and a mire with a total width of about 130 m are able to decrease nitrogen and potassium load by more than 90%. The concentration of nitrates in the groundwater observed along the transect line decreases rapidly: in the trees belt is is of about 81 mg dm-3, after passing a 20 meter meadow belt it decreases to 27 mg dm-3 and, finally, in the mire waters it reaches 0.4 mg dm-3. The K concentration in the groundwater under the field reaches a medium value of 40 mg dm-3. This value changes rapidly along transect and in the water under the meadow reaches about 13 mg dm-3 and in the mire decreases under 1 mg dm-3. As the result of the observation the highest concentration of PO4 was detected under the meadow belt, where it was, on an average, 0.5 mg dm-3 higher than under the cultivated land and the mire. Podlaskie voivoidship covers and area of 20180 km2, which takes up 6.5% of the Polish territory. It is famous for its outstanding wild-life qualities and raw nature. It has a high level of forestry (29.2%), a significant level of green utilities (19.8%), and wastelands, mainly swamps (3.0%). This means that over 52% of the voivoidship area presents environmental conditions untouched by human activity. Author(s): Jaros H., Biesiada M.
The Upper Narew Valley region has been protected by law since 1985, first as the Narew Landscape Park and then, since 1996, as the Narew National Park, covering an area of 7350 ha. One of the main features of the marshy Narew Valley is the natural character of the river itself, with multiple riverbeds. The marshy valley is a site of unique flora and fauna, including over 90 species of water ansd swamp birds and 40 species of mammals. The Narew River Valley has high natural values, particularly its section within boundaries of the Narew National Park (NNP). Conservation of marshy valley values depends heavily on the maintenance of proper water relations. This paper presents characteristics of hydrologic conditions taking into consideration anthropogenic influences. It describes the hydrographic system and the role of drainage systems and the Siemianówka Water Reservoir. It presents basic course of actions in the area of water management, which are indispensable from the point of view of the Narew National Park necessities. Just after the Narew National Park has been established, the problem appeared whether it would be possible to accomplish its aim of water ecosystem protection. The obstacle is the Siemianówka reservoir, built upstream the river. The environmental conditions of reservoirs are different from those in a river without a dam. The changes occurring therein produce structural transformations in initial water flora and fauna systems. River species retreat, and their place is being taken by species adapted to life in still waters. There appears a large amount of plankton algae; the fish biomass grows strongly, but the systems are less and less diversified in terms of species. This process is stimulated by a large load of organic matter accumulated in the reservoirs. The effect is a bad quality of water and deaths of fish. It is necessary to undertake measures to prevent the eutrophication: to eliminate the biogene compounds and to carry out proecological fisheries management. They are indispensable for accomplishing an improvement of the water quality in the Siemianówka reservoir. This reservoir exerts its influence on the whole Narew National Park area, leading to deep unfavourable transformations in the water ecosystems there. Author(s): Biesiada M., Jarząbek I. The main question that focused the discussion was a research project presented by Dr. J. Napiórkowski and Dr. P. Rowiński on spreading of pollution in Narew waters on the territory of Narew National Park. A question often touched upon was the interrelationship between a barrier reservoir Siemianówka as a possible threat for Narew National Park.